52 year-old Emmy award-winning host Chris Hansen has reportedly been caught cheating on his wife according to the National Enquirer. Hansen, who lives with his wife Mary with their two kids in Connecticut is having a four-month old affair with Kristyn Caddell, 30, an anchor at WPTV-TV in West Palm Beach, Florida. Hansen and Kristin were allegedly secretly videotaped June 24 arriving for a romantic diner at the Ritz-Carlton's Angle restaurant in Manalapan, Florida. Caddell, 30, was an intern at the station before later becoming a reporter. Her bio on the WPTV website says she started at the station six years ago, left for other TV jobs in California, Texas and Tennessee, before returning to West Palm Beach. 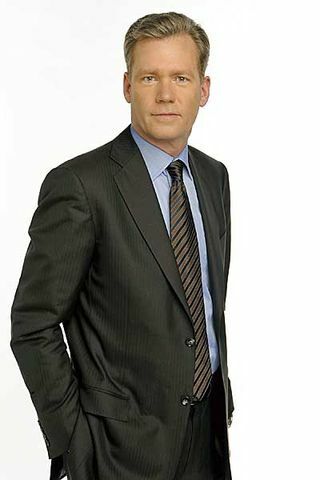 Hansen has worked for various NBC News shows, including Dateline NBC and the hidden-camera sting-operation show To Catch a Predator, since 1993. He has won seven Emmy awards.